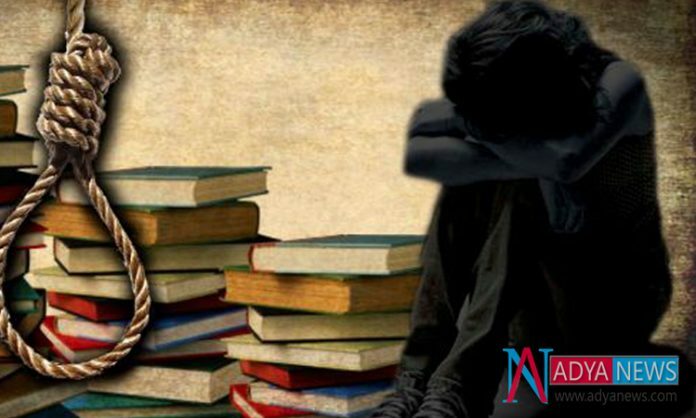 A Private School Student of 17 years old gets suicide in the wake of failure in the Intermediate examinations , the results of which were proclaimed on Friday. The perished student distinguished as B. Bhanu Chandu ended it all by dangling from a tree at Gudurupalli in Punganur mandal of Chittoor region on Saturday. Police said Chandu had composed his exam in the CEC group and was an student in a private school at Thatimakula Pelam. Country sub-overseer P. Arun Kumar Reddy said that local people educated his dad in the wake of discovering his body dangling from the tree and educated the police. Police took the body to hospital for post-mortem examination. A case has been enrolled and further test is in progress. In one more occurrence, a 16-year-old young lady, in the main year at a private school in Tirumala endeavored suicide in the wake of failure in three subjects. She draped herself from the roof fan when her folks were alarmed and promptly took her to the hospital . Her condition is serious . A 17-year-old student of a private based school ended it all in the wake of failure in the Intermediate exams , the results of which were pronounced on Friday. Telugu States to Experience with Thunderstorm Attack in near Soon….